An Introduction to Stanton Lees Chapel, near Matlock, in Derbyshire. 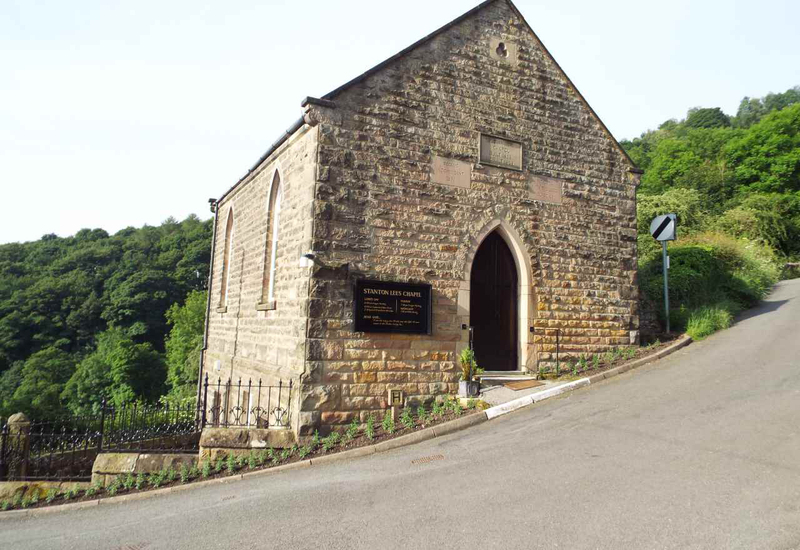 As you will read elsewhere on our website, Stanton Lees Chapel, ‘the church on the hillside’, was first built in 1863. Our history as a church has seen times of difficulty, times through which God has sustained us, and eventually brought us into a better place. God has indeed been very good to us. We have seen much blessing over the years, and we trust that by the ministry and witness from this place, that God has been glorified and honoured. We are by no means a large church, and like many other assemblies of The Lord’s people we are small, but we seek to conduct ourselves biblically, and although various creeds and confessions are a help, there is no guide as reliable and trustworthy as the Bible. To us it is our ‘sole rule of faith and practice’. The central truth, without belief in which no man, woman or child can be saved, is that Jesus Christ is God’s Son, and that He died in our place as a sacrifice for our sins, rising again the third day! 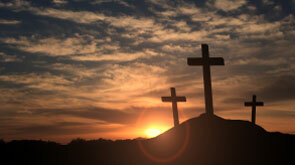 Only then in Jesus Christ do we find forgiveness and lasting peace. This is the Gospel that we seek to proclaim, and which those who have come to faith in Christ amongst us most surely believe. We are an Independent church, but a church that enjoys happy fellowship with other like-minded Christians who have a faith in the God of the Bible, and seek to follow Him without compromising the truths which which are essential to our salvation. You will not find any so-called ‘gimmicks’ in our worship services. We enjoy singing many of the old-fashioned hymns, and our regular Lord’s Day hymnbook is Christian Hymns. The pulpit Bible at our church is the New King James Version. We hope then that you enjoy your visit to our website, and would assure you of a very warm welcome if ever you are in the area and choose to call in and visit us. May The Lord be an encouragement to you, and be your abiding portion.